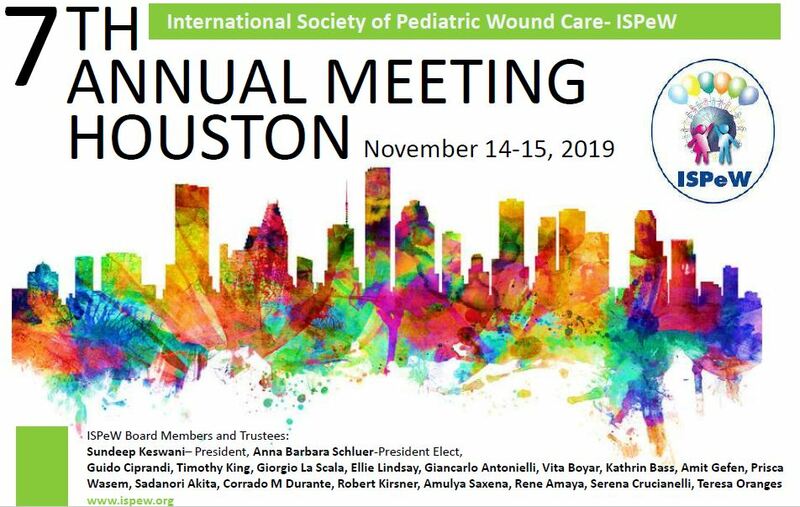 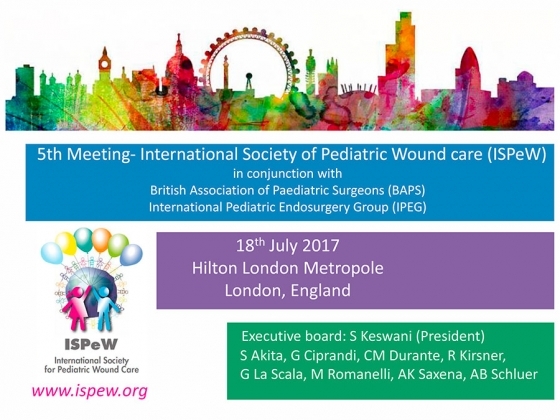 The WUWHS 2016 Executive Committee is pleased to share a strong collaboration with the ISPEW Society in order to reach future outstanding goals in wound healing activities. 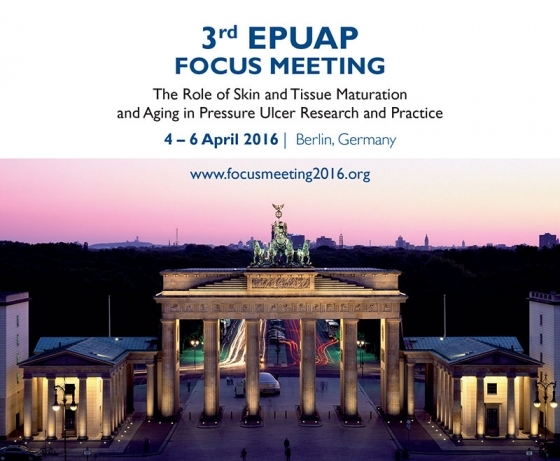 The EPUAP Focus Meeting is a relatively new initiative aimed at exchanging knowledge among scientists, clinicians, R&D and industry in regard to the latest developments in special areas of pressure ulcer research and practice. 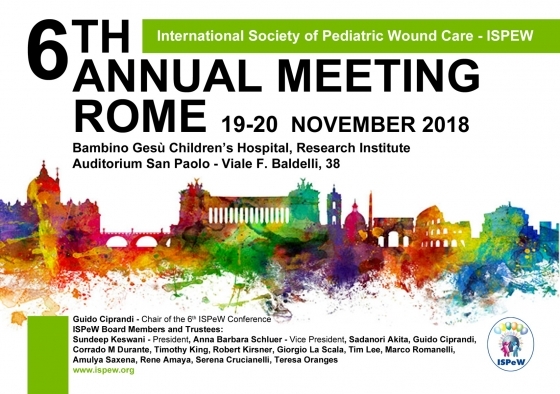 The focus meeting is intended to give room for in-depths discussion about special topics, to identify knowledge and technological gaps, as well as clinical needs in the pressure ulcer field and establish a platform of discussion for academia and industry. 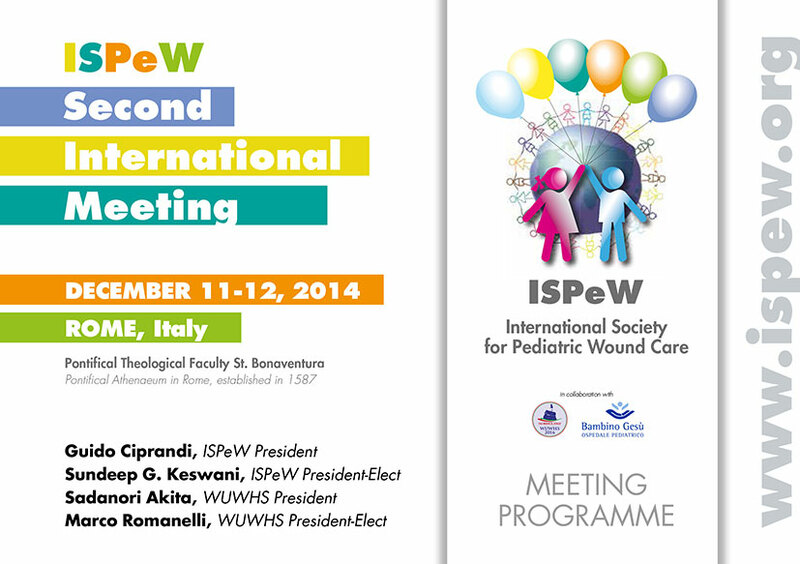 2nd meeting of the International Society of Pediatric Wound care (ISPeW) in Rome, Italy on December 11-12, 2014.